Do you feel like your resume is not good enough but you don’t know how to make it better? Do you want to do an internship but don’t know where to look for it? How are you going to find a job once you graduate? Don’t worry, our next seminar will solve all of your doubts. 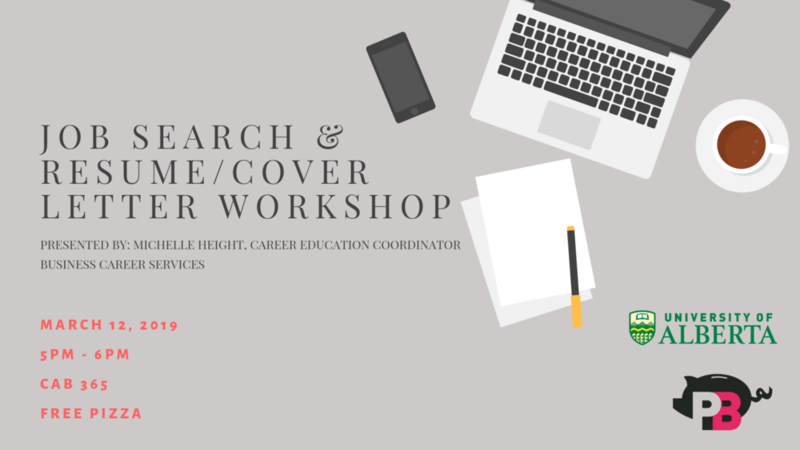 Michelle Height from BusCareerServices will present a workshop on Job Search and Resume/Cover Letter. If you are interested in improving your resume while eating some free pizza, come next Tuesday March 12th at 5pm to CAB 365! Are you saving to buy a house in the future? How can a Tax-Free Savings Account (TFSA) help you? There are many types of investment tools that could make your savings much more profitable. Our next seminar will focus on TFSA and RRSP, as well as different types of investment tools. 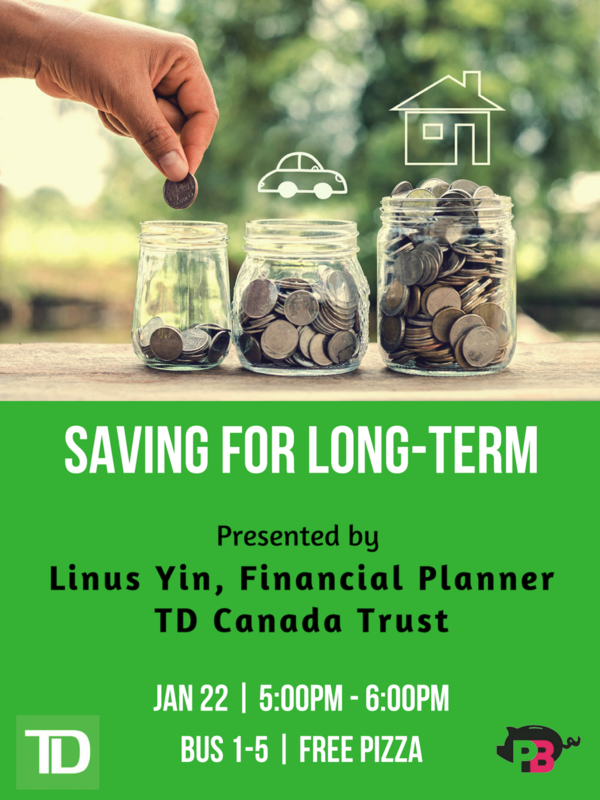 If you want to learn how to get the most out of your savings come to our next seminar, hosted by Linus Yin, Financial Planner at TD Canada Trust. Do you know how your credit card works? How can you make the most out of your bank accounts? What is your credit score at the moment? Becoming an adult involves a lot of responsibilities and knowing what you are doing with your money is an essential. 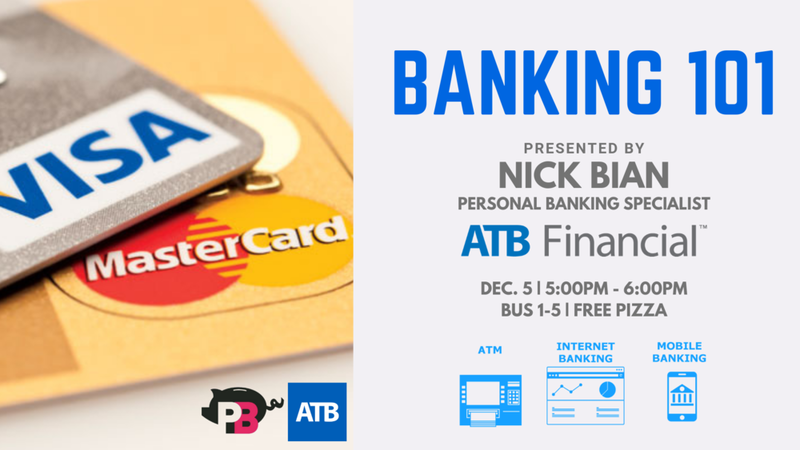 If you want to take the first step toward adulting, use this amazing experience to learn about banking in our next event, hosted by Nick Bian from ATB Financial. How much do you know about tax returns? How should you file your taxes to benefit from deductions, credits and special rules for students? RRSP or TFSA? These are just some of the questions that will be answered on our next seminar on November 23rd by CPA volunteer, Tope Roth. If you want to understand taxes and learn how to maximize your benefits while filing an income tax return, come to BUS 1-6 at 5:00 pm! Use this opportunity to expand your knowledge and ask any questions you might have! With speaker: Tope Roth, BA, CPA, CGA. Partner at Roth Schroder Professional Corp.
How well do you know your credit card? Do you know the best way to use it? The truth is that most people don’t have sufficient knowledge when it comes to their credit. 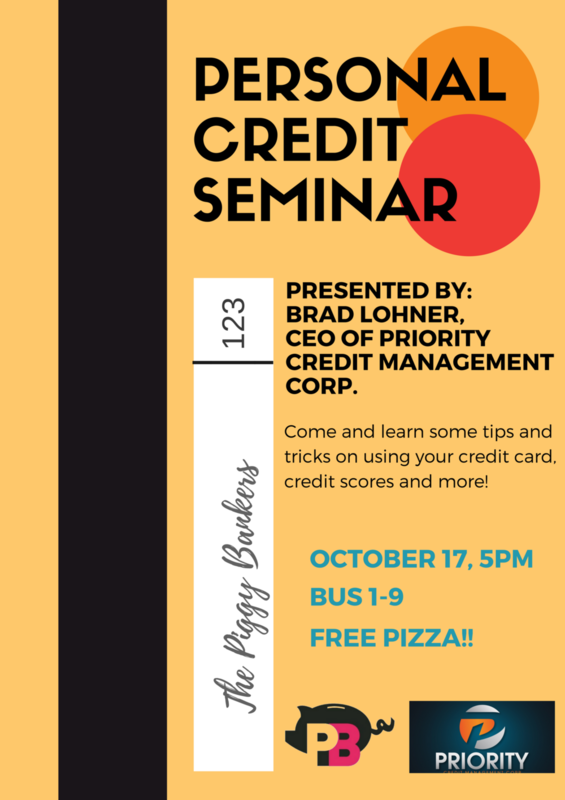 Come on down to the business building on October 17th for a seminar on Personal Credit. Have all your personal credit questions answered and have a chance to network with Brad! Check out our facebook for updates and room number. With speaker: Brad Lohner, CEO of the Priority Credit Management Corp.